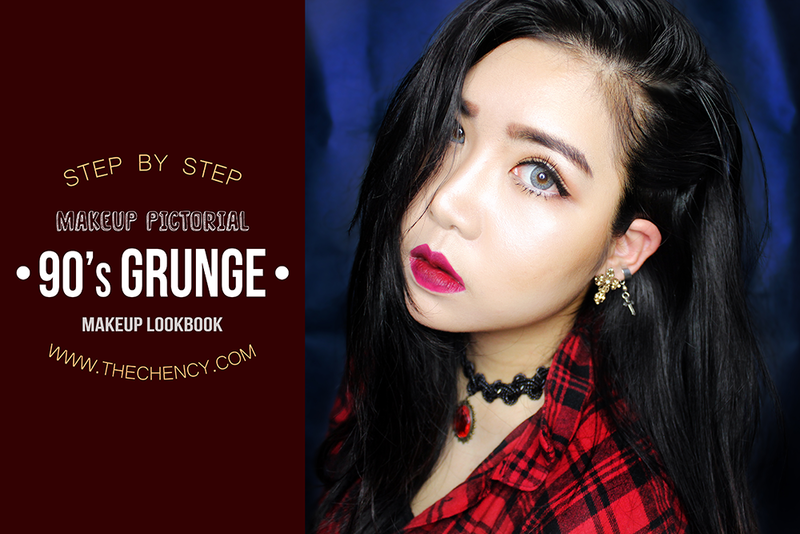 Yesterday I have blog about makeup pictorial of '90's Grunge Makeup Look'. 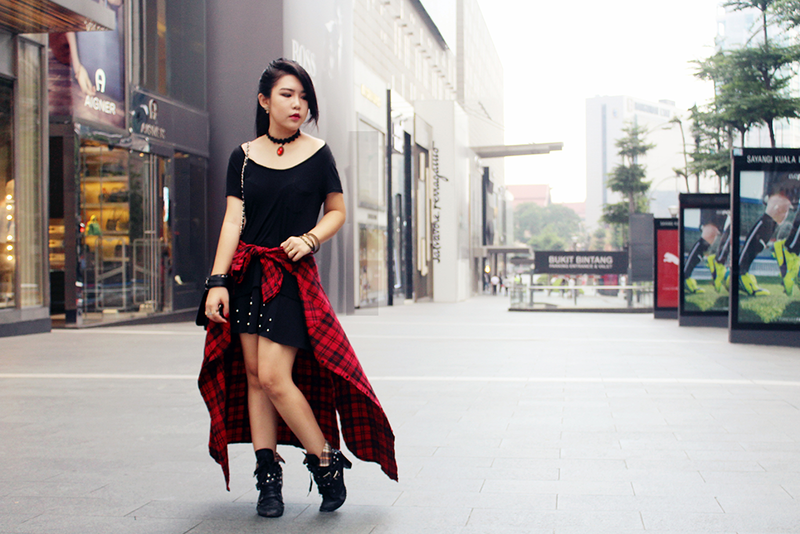 Pushing the heat even bigger, in this post I would like to share my 'Red Grunge' outfit that I'd matched my theme in one event. 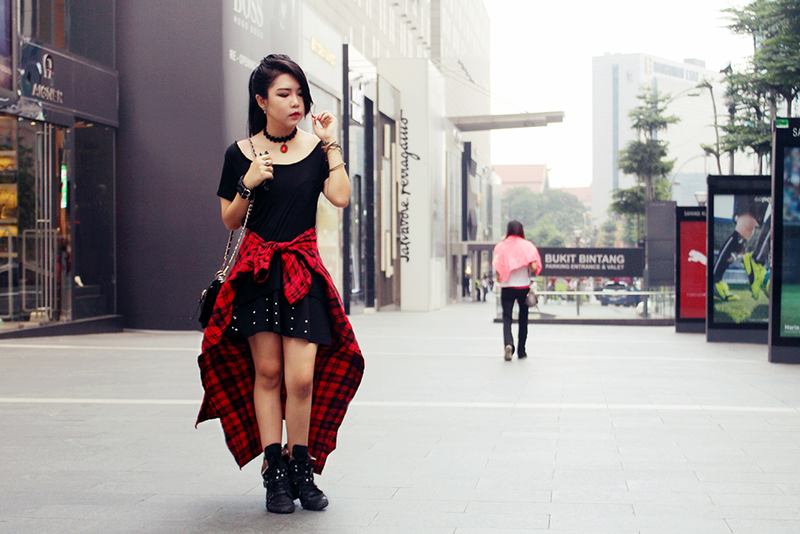 Like what I mentioned just on my previous post, RED is my top favorite. 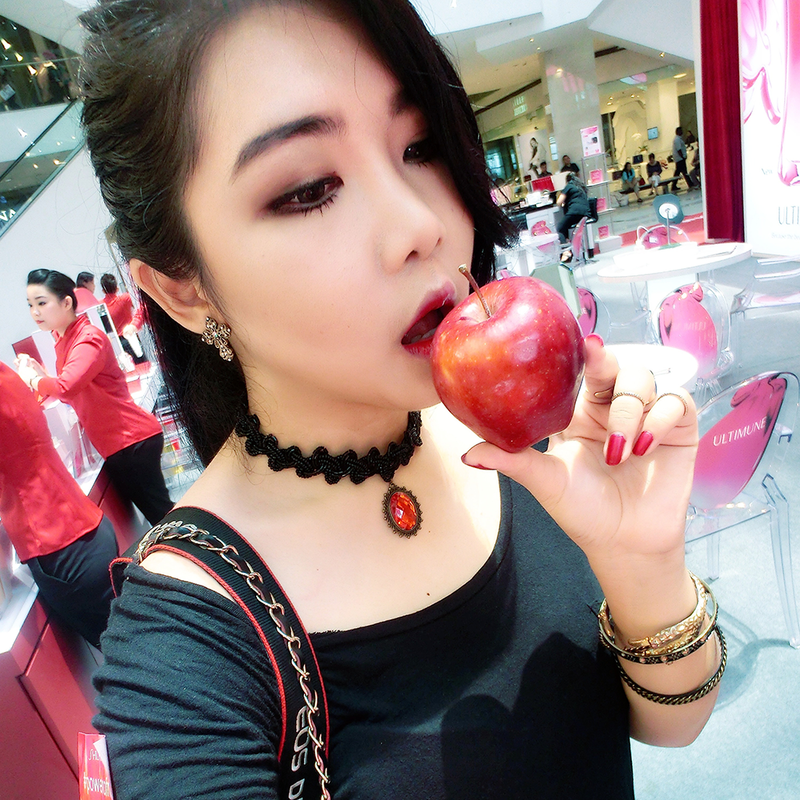 I just like how edgy, elegant yet classy not boring that red can brings out especially on personality. 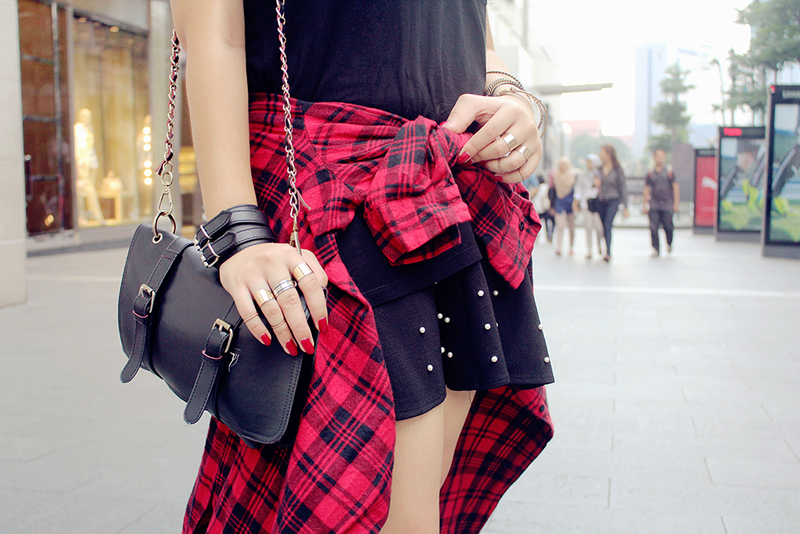 Anyway, plaid design never miss out in Grunge look. 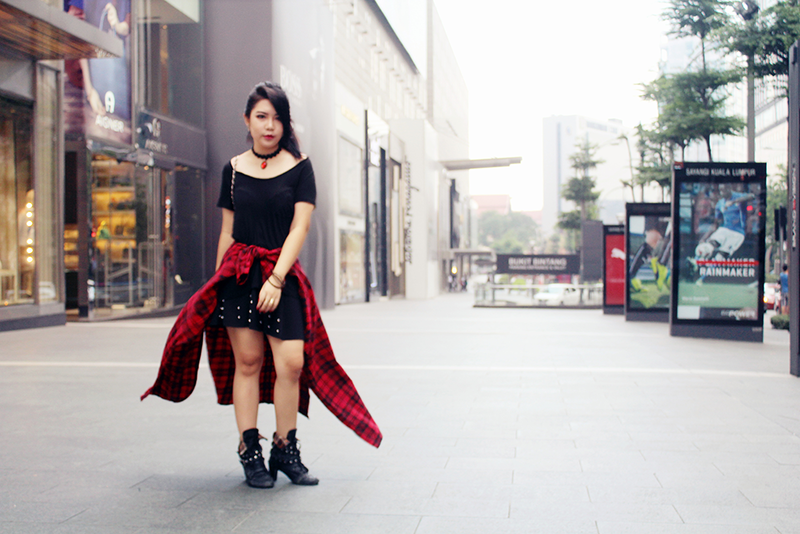 Not only that, chocker was also the main point that can easily pull out the look too. 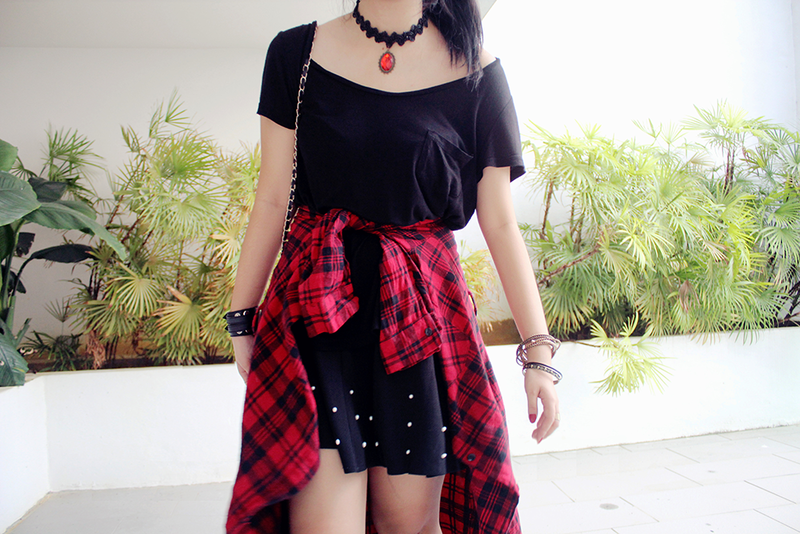 Make up of the day was wearable version of Grunge makeup. 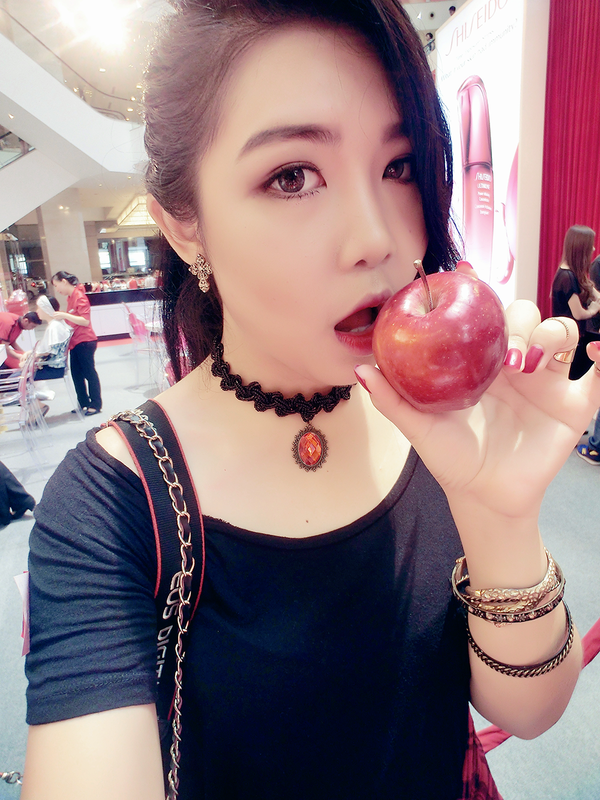 and I wore gradient plum lips instead of full dark lips for a friendlier look. 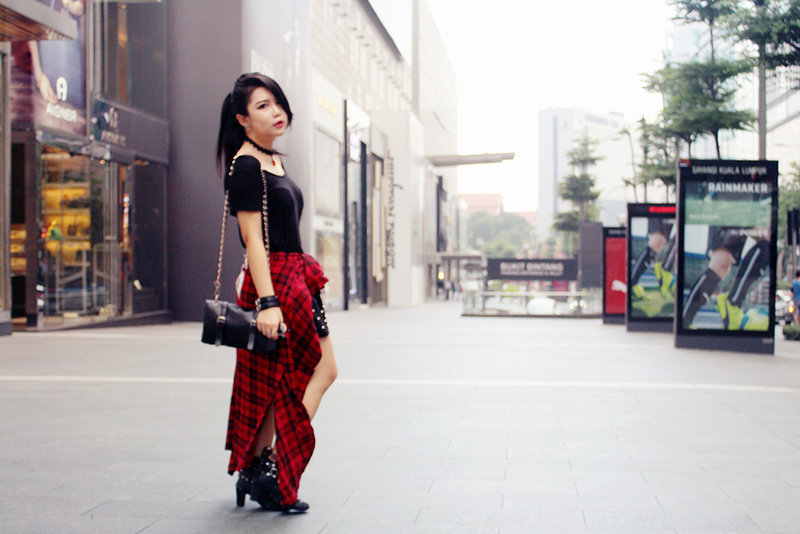 Without future ado, scroll down to view more about my outfit.